The Home Affordable Foreclosure Alternatives (HAFA) Program is a government-sponsored initiative overseen by the US Treasury Department and administered by Fannie Mae assisting all Home Affordable Modification Program (HAMP)-eligible homeowners in avoiding foreclosure, specifically through short sales or deeds-in-lieu of foreclosure. 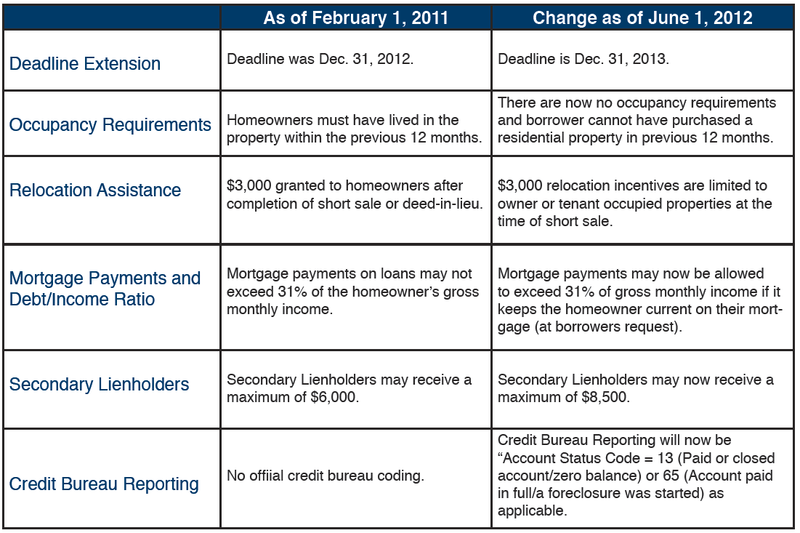 Retroactivity: Servicers not required to, but may reevaluate borrowers formerly ineligible. Source: United States Treasury Department – Expanding our Efforts to Help More Homeowners and Strengthen Hard-hit Communities.